Living the life of a performing violinist is (of course) a topic that captures all of us who play and listen to classical music. These virtuosos have a long list of accomplishments such as creating flawless repertoires, traveling across the world, winning competitions, judging competitions, starting foundations and much more. They are given (well deserved) instruments from various philanthopists and companies to perform their music, giving us the opportunity to hear the best from the best. From our time comes a violinist who has mastered her playing, and also has one of the most interesting stories I've come across. Nadja Salerno-Sonnenberg. Born in Rome, Nadja and her family moved to Cherry Hill, NJ (sound familiar? that's Andy Fein's hometown!) when she was 8 years old to help pursue her talent. Not knowing quite where to begin, the first step her mother took was contacting an old friend who worked at the Curtis Institute of Music, the renowned conservatory in Philadelphia. That was the best decision they could have made. The friend said, "Bring her in to play for the jury here, and we'll give you good advice, we'll set you on the right path." Nadja went to play for them, accompanied, by her mother, on piano. After that recital, Curtis decided to open a preparatory division, with Nadja being the only student. Talk about talent- she single handedly impressed the board enough to start a department for young musicians! The following year, the preparatory division was expanded. The school holds auditions for this department, and has been a great place for young learners, like Nadja, to start the journey as musicians. Six years later, Nadja auditioned for Julliard's pre-college division. She was accepted, and began studying with Dorothy DeLay, arguably one of America's finest pedagogues. She attended Julliard as an undergraduate, but never completed her degree since she was always on the road performing. She later received an honorary Master's degree from New Mexico State University. 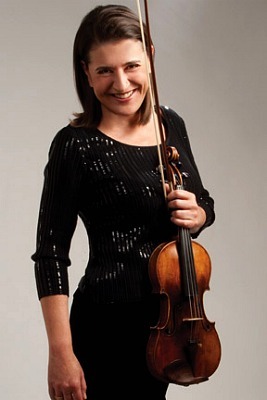 In 1981, Nadja won the Naumberg competition in NYC. At 20 years old, she was the youngest person to ever win the award. Nadja seems to have a wonderful rapport with fans of all ages. 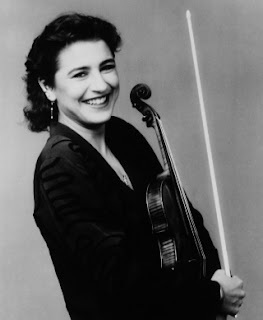 In 1989 she published a children's/adolescent/young adult book, Nadja, On My Way, telling the story of becoming a professional violinist, from her perspective, from childhood onward. So, like most soloists, Nadja started young, went to schools that focused on her music, won awards, and traveled everywhere. But an event happened in Nadja's life that turned things for the worse. One night in 1994, while in the kitchen, Nadja chopped off the tip of her left hand pinky finger.To make matters worse, it was Christmas Day, so finding a surgeon to reattach it took longer than it would have normally. It was around 4 hours later that the doctor was able to surgically reattached the tip. A tragic disaster that affected her violin playing and so much of who she was, and what she represented, it was an injury that stopped her from playing.........for a while. So how do you recover from this? What steps do you take? For awhile, playing was out of the question. She soon learned to play again.When talking to Laurie Niles, of Violinist.com, she talked about learning to play again after the injury. She mentions playing the Tchaikovsky Concerto on tour: "I used the finger, in a sense, for runs and fast passages, but to actually put the finger down and vibrato and hold the note? That was out of the question. So basically I had to re-finger all this repertoire for three fingers. I played about four months' worth of concerts doing that..."
Eventually, with time, patience, a lot of New-Skin Liquid Bandage, and a tremendous amount of determination, Nadja's finger healed enough for her to resume playing and concertizing at full tilt. Since then, Nadja has recorded a great number of wonderful albums and played concerts all over the world. 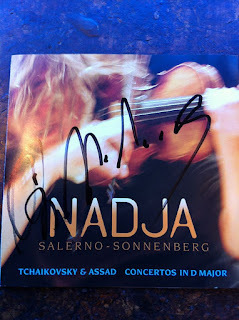 In 1999, Paul di Florio made a documentary on Nadja, Speaking In Strings. In 2005, she started the record label NSS Music as a "haven for performing artists", including herself. In 2008, Nadja was invited to become the Music Director of the New Century Chamber Orchestra. A wonderful opportunity for any soloist. It seems a perfect match for Salerno-Sonnenberg. In at least one video, she describes the NCCO as "my orchestra" and she beams with pride when she says it. Nadja and the NCCO have recorded one of my favorite pieces, Astor Piazzola's Four Season's of Buenos Aires. An absolutely fantastic recording! I had the pleasure of hearing Nadja Salerno-Sonnenberg play the Four Season's of Buenos Aires with the Minnesota Orchestra a few months ago. It was a great performance. Nadja plays like she owns the piece. As technically difficult as it is, she played like she was truly enjoying the music and was surprisingly relaxed. An incredibly memorable performance! I appreciate how accessible Nadja makes herself to her fans and followers. From autographing CDs at intermission to answering questions on her website, she should be an inspiration to all soloists. If you get a chance to hear her, take it! Nadja plays on a beautiful 1721 Petrus Guarnerius of Venice violin. It's an instrument that seems to fit her perfectly! 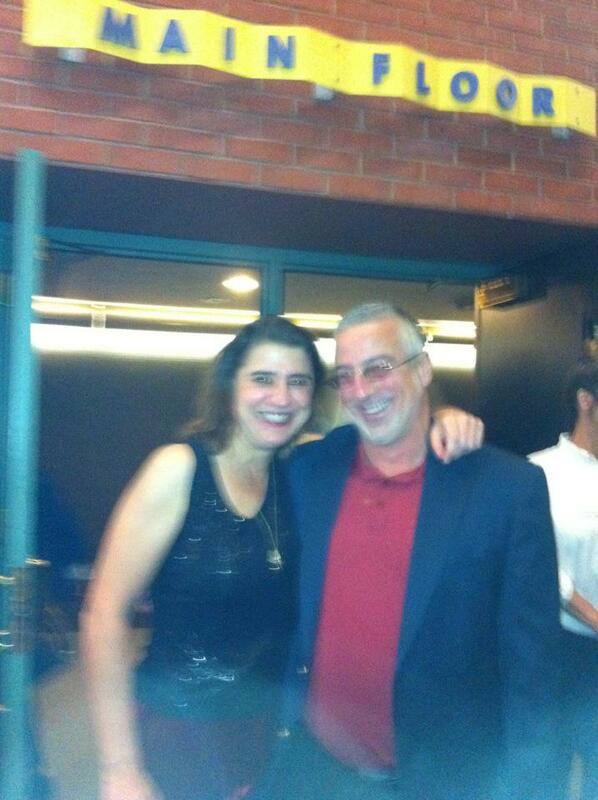 Nadja Salerno-Sonnenberg and Andy Fein after her concert with the Minnesota Orchestra.